Anyone know the value of this print? 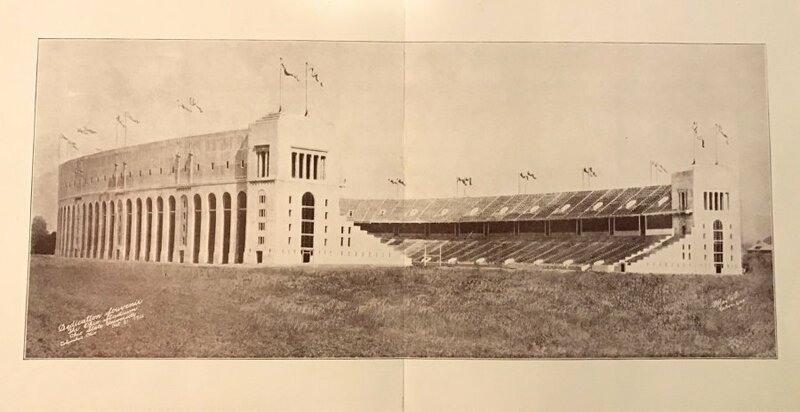 It’s from 1922 of the Ohio Stadium. This was a souvenir given away for the inaugural game at the stadium. I also have the OSU vs Mich program from that game. The print is in good condition. Everyone is welcome, easy way to join the great Illuminati brotherhood kingdom today. Are you a business man, business woman, join Illuminati today to gain limitless wealth's power's, protection, magic, connection, and fame, don't fail to see the light today brother's and sister's. If you're ready to join the great brotherhood Illuminati secret society kingdom today, headquarters at (U.S.A). kindly inbox the great brotherhood Illuminati Agent Mr. Michael Nelson on email address now: (michaelnelsonq666@gmail.com). or contact him on whats-app mobile now or call +(234) 8083376057. for more info on how to join discreetly and easily with no hassles. Remember the greatest risk in life is to never take a risk.......join today and meet up with your financial expectations. benefit given to new members who join the great brotherhood Illuminati kingdom today. 1. A cash price reward of $100 millions US dollars after your initiation. 2. A new sleek dream car will be given to you after your initiation. 9. A monthly payment of $50 millions US dollars into your bank account every month as a full member of the great brotherhood Illuminati secret society kingdom. 10. One month booked appointment with top 5 world leaders and top 5 celebrities in the world.